The Official Opening Ceremony of the 63rd edition of the Miss World pageant took place at the Westin Resort Nusa Dua, Bali, Indonesia on Sunday September 8. Ghana’s Naa Okailey Shooter and some 130 other delegates were for the first time introduced to a global audience, who watched via online. The contestants took turns to model in clothes made by over 40 Indonesian Fashion designers, showcasing the rich cultural heritage of the Asian country. Some, out of the 131 delegates also performed themed dance drills, much to the delight of a high profile Indonesian audience. Some more Fast Track events including Sports and Fitness, Talent, Top Model, and Beach Fashion, will be held in the coming days ahead of the grand finals on September 28. 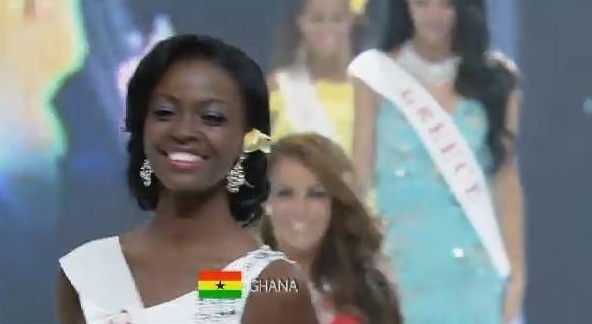 VIDEOS: Miss Ghana 2012 at Miss World 2013 Opening Ceremony 0 out of 5 based on 0 ratings. 0 user reviews.